Today on the show we talk about Apple’s big event coming up and how they have released hardware almost every day this week. We talk about the new iMac 21 inch and iMac 27 inch Pro. We talk about the new iPad Air and iPad Mini vs the iPad Pro. We get into using Slack vs Microsoft Teams and how Discord fits into this space. 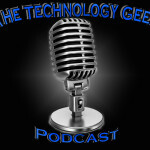 We talk about podcasting software and much more.